Sizzling Summer Temperatures – Stay Hydrated! The hottest months of the year are upon us – it was near 100 degrees at 2,000ft in the North Central Cascades a few days ago! As this hot weather hits us nothing is more important than staying hydrated – especially if you will be outside and active – on the mountain, hiking, biking or on the water! Water is vital for our life! Our bodies are 55-65% water; composes 75% of all muscle tissue and about 10% of fatty tissue and due to this make up most people can survive no more than seven days without water. Every system in your body depends on water. 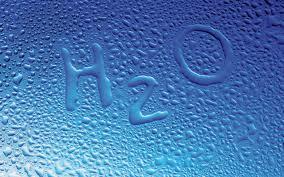 Water regulates the body’s temperature, cushions and protects vital organs and aids in the digestive system. It also acts within each cell to transport nutrients and dispel waste. While you can stay hydrated through food intake, juices, soups, and tea – water is a calorie-free option. Drinking less than 4 cups of water daily has been found to be associated with age (older drink less), region of residence (less in NE, more in South) and several unhealthful behaviors and attitudes like consuming less than one cup of fruits or vegetables per day, do not exercise, neither gaining or losing weight and eating meals while watching television. in your blood transports oxygen to working muscles and carries away lactic acid. is a cushioning component in your brain, spine and joints. How do you lose water in your body? Breath: Especially in winter, when you can see your breath! Perspiration: In an hour of exercise you can lose more than a quart of water. EASY MATH: Half your body weight in water in fluid ounces daily. Example: 180 lbs = 90 ounces/water/day. Hydrate enough so that you are NOT thirsty. Often when you are feeling hungry you’re really thirsty. So, when “feeling” hungry drink eight ounces of water, first. You are hydrated when your urine is colorless or pale yellow. Hydrate often! Carry a bottle with you and drink throughout the day. Drink a glass of water when you wake up (1). When you brush your teeth in the morning (1) and evening (1). Drink a glass of water with each meal (3) and with snacks (2). Drink water before, during and after exercise (see below for exact guidelines). Environment is hot, humid, altitudes: for skiers, drinking more water when at altitude will help keep blood volume closer to normal. By starting with the recommendation above in parenthesis you’ll be drinking a minimum of 8, 8 ounce glasses a day. Performance in sports requires hydration! Sweating a small percentage of your body weight can add stress to the cardiovascular system and even more can impair physical performance, mental sharpness, and coordination. Increase your water intake if you are a heavy sweater! Sizzling summer temperatures require increased water intake for all individuals – young, old, sedentary and active. Use the recommendations above to help plan your hydration to keep your body functioning at its best and Get Out. Get Fit. Have FUN! New PEAK fitness NW Ski Conditioning programs are beginning, in the Portland Metro area, on Monday, July 8th and Thursday, July 11th! Go to www.peakfitnessnw.com/events for more information on the July/August 2 for 1 SPECIAL! If you have any questions on how you can kick-start an active lifestyle that incorporates the outdoors contact Jennifer Lockwood. She can be reached at jenn@peakfitnessnw.com or 503.913.8385.